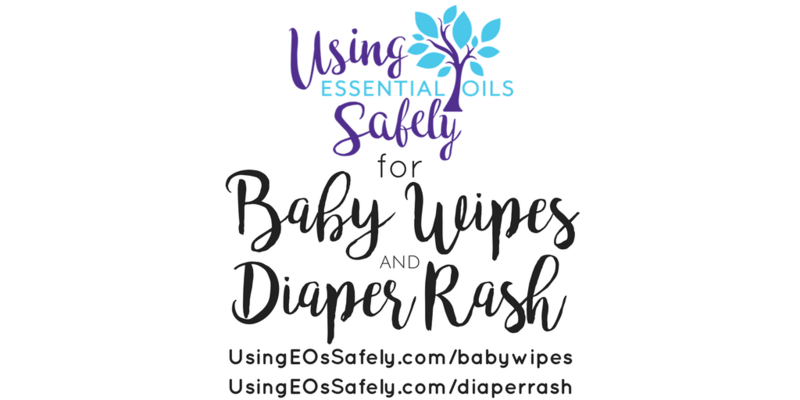 We are often asked about the safety of using essential oils in such products as baby wipes and diaper rash cream or ointments. Essential oils are very powerful substances and due to baby's thinner skin and immature systems in most cases it is best to not use any essential oils topically around little ones. Often a much better and safer option are hydrosols. They can be added to wipes and other products to keep your baby safe and happy. Take a roll of Bounty towels (if using cloth wipes, skip to step 3), and cut the roll in half to yield two half-sized rolls. Remove the center cardboard tube and place the dry paper towel roll in an empty plastic container (you can recycle an empty commercial wipes container). Saturate the roll of dry paper towels with a blend of four parts hydrosol of your choice, (such as Lavender, Roman Chamomile, Calendula or Helichrysum), and one part Witch Hazel. Another option which takes a bit more time, instead of using a traditional roll of paper towels use a “select a size” roll where they are about the 1/2 the size of regular paper towels and then tear each one off and fold into 3rds. You can then fit them in flat wipe container instead of a round one as would be needed for the above idea.